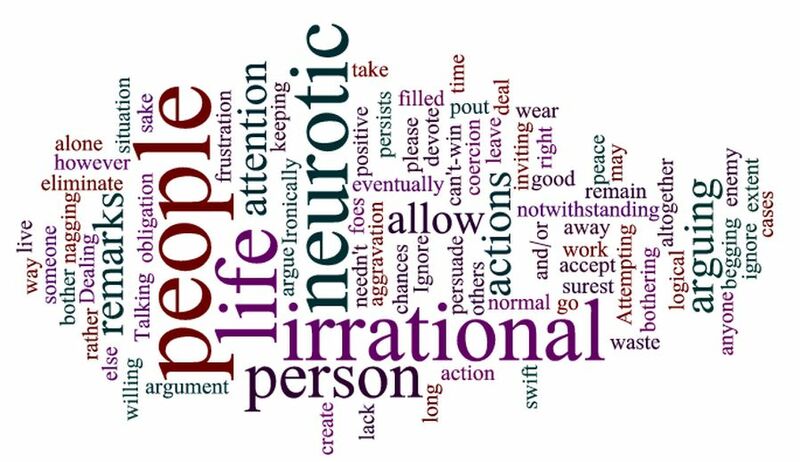 "Ignore all neurotic remarks and actions of normal people and all remarks and actions of neurotic people. 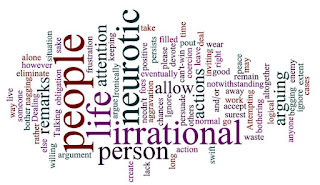 In cases where a neurotic person persists, notwithstanding your lack of attention, take swift and positive action to eliminate him from your life altogether. You have no obligation to deal with irrational people. You needn't accept nagging or coercion for the sake of keeping the peace. You have a right to live your life as you please, so long as you're not bothering anyone else. To the extent you allow others to bother you, however, your life will be filled with frustration and aggravation. Ironically, the surest way to create foes is to allow neurotic people to remain in your life. When you argue with an irrational person, you're inviting an enemy. When you ignore him, he may pout for a while, but chances are good that he'll eventually go away and leave you alone. He'd rather devote his attention to someone who is more willing to waste time arguing."